A minivan that is used for a family should offer many different safety features to look out for that family. When you are trying to find a vehicle for your family, consider the popular family minivan that is the Grand Caravan. 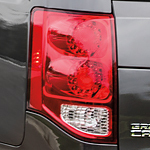 When Dodge created the Grand Caravan, they set this vehicle up with a camera that can help you know what is behind you when you need to back up. You can make sure that no children or pets are behind your vehicle when you are driving in reverse through help from this feature. Keeping your child's seat in the correct position and having it installed properly in your vehicle is important. The Dodge Grand Caravan is set up with the LATCH system to help you quickly get your child's seat in place. This system helps to fully secure your child's seat so that it does not move around while you are driving.